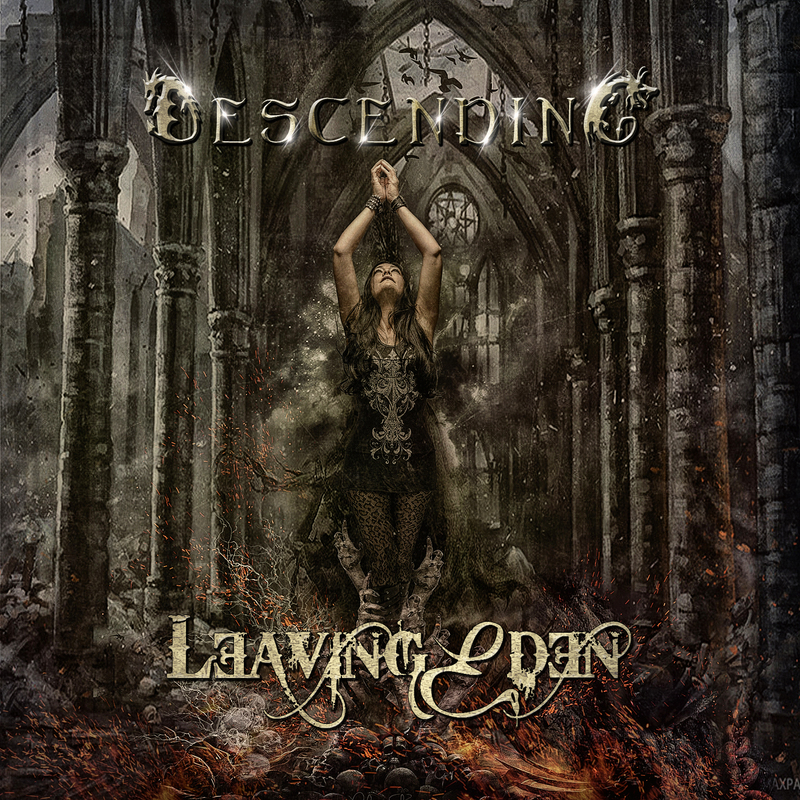 Extreme rockers LEAVING EDEN have an all new album titled "Descending" coming soon, with a single off it called "Jailbreak", and a tour across the East Coast of the U.S.A. following suite. So much planned out with so little time to take it all in, there is much more to be talked about, and that is what precisely the band goes about doing. Hey man it's Eric Gynan co-founder from the rock band Leaving Eden out of the Boston Mass area USA and it's a pleasure to talk with you here. Leaving Eden has definitely been around the block. The music is heavy sometimes acoustic sometimes has a beat that you can dance to so it's kind of hard to put into a box so to speak. Fronted by Eve she really has an incredible stage presence and connection with every crowd. We thought that the planet Earth is considered the Garden of Eden and since it's so full of corruption and Hate wouldn't it be nice to go somewhere else, thus leaving Eden. As I said we're from the Boston Mass area USA. Boston where the Free World started. It's good to be here. The music scene is really what you make it. Each band and their friends. There's a lot of good local bands around ya just gotta get out there and go see them. If it wasn't for our friends we wouldn't be anybody so we're thankful. It takes people to create a scene. People that want to gather and have fun, so we employ everyone to get out there, that’s how history is made and it can happen at anytime! As I said it is heavy but then we play some acoustic stuff and play some stuff with the dance beat fronted by Eve a female vocalist. We got some keyboards bass guitars and drums. We started out with albums "Tied and Bound", "Between Heaven and Hell", "Welcome to my World", "Pinnacle", "Out of the Ashes" and we are releasing "Descending", our new album in October. I think other than some great songs they can expect some really good production. 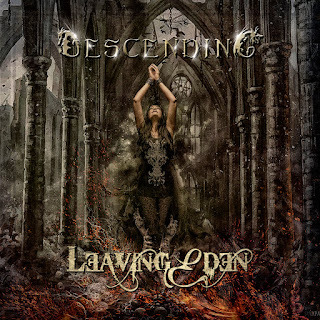 Our "Descending", album, we released a single from Thin Lizzy called "Jailbreak", (Recorded/mixed By Johnny K. (Disturbed, Pop Evil, Staind, 3 Doors Down,) Mastered by Brad Blackwood (Sevendust, Dave Mathews, Adelitas way, Korn) and Produced by myself reinterpreted by Leaving Eden. "Jailbreak" is going to be on our new album to be released October 19th 2018 again called "Descending" through Dark Star records/Sony music worldwide. "JAILBREAK"
I'm excited about Descending because it was recorded @ Leaving Eden’s Studio. We were able to take all the time we needed and really craft this album to be exactly what we wanted it to be. I did a premix on it and sent it off to Bob St John for the Final Mix and Mastering. Bob is a Grammy award-winning engineer and has done bands like Duran Duran, Extreme, Collective Soul, Steven Tyler. Such a great guy to work with too. We are heading out on a USA East coast tour, from New England to Florida and back. We've been humbly fortunate. 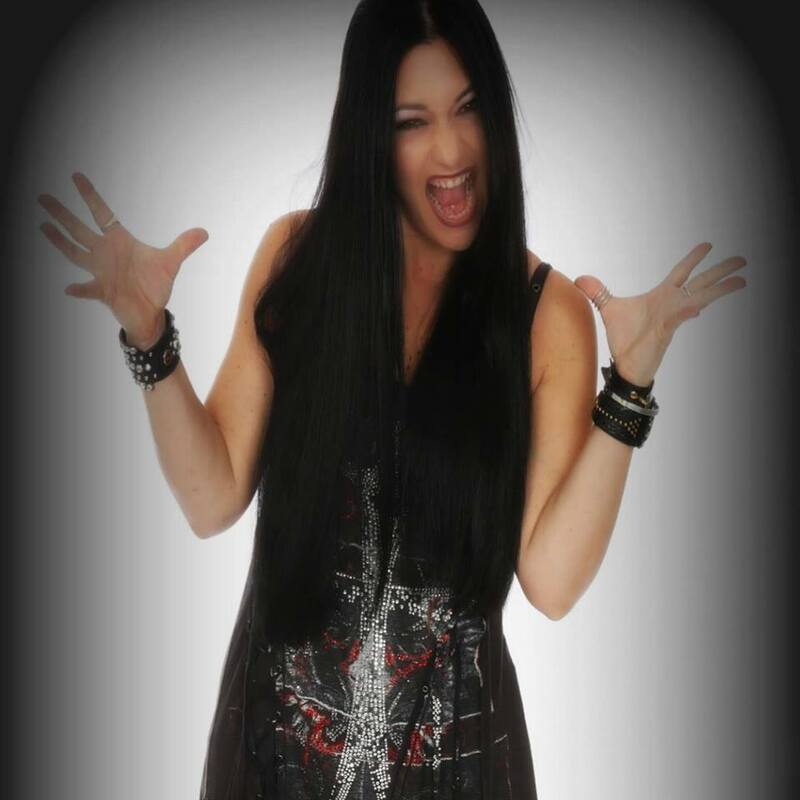 Leaving Eden has toured the USA, UK & Canada sharing the stage with hundreds of the biggest national bands in the world including; Lacuna Coil, In This Moment, Black Sabbath (Heaven & Hell), Ronnie James Dio, Rob Zombie, 5 Finger DeathPunch, Disturbed, Marilyn Manson, Alice Cooper, Lynyrd Skynyrd, ZZTop, Puddle of Mudd, Korn, Killswitch Engage, Buckcherry (Jefferson Starship, Big Brother and The Holding Company, Country Joe, 10 Years After, 40th Anniversary Woodstock) Shinedown, Dropkick Murphy's, Alice in Chains, Papa Roach, Bret Michaels, Halestorm,Theory of a Deadman, Avenged Sevenfold, Seether, Hell Yeah, Trapt, Dope, Soil, Fuel, Queensryche, Saving Abel, Hinder, Damage Plan, Sevendust, Sebastian Bach, SoulFly, Days of the New, NonPoint, DrowningPool, The Misfits, The Butcher Babies, Collective Soul, MushroomHead, Mudvayne, Chevelle, Godsmack, Powerman 5000, 10Years, Taproot, Gin Blossoms, Michael Schenker (UFO, MSG & The Scorpions) Herman Rarebell (The Scorpions), Nicko McBrain (Iron Maiden), Kittie, One eyed doll, Uncle Kracker, Tremonti (Creed/Alterbridge) Lamb of god, Slayer, Stone Sour, Motorhead, Blackstone Cherry, HOOKERS & BLOW Featuring GUNS N' ROSES, QUIET RIOT, W.A.S.P. Members, Steven Tyler, Ted Nugent, Lita Ford, LA Guns, Trixter, Warrant, Apocalyptic Review (featuring members of Godsmack) Adelitas Way, Scott Stapp (The voice of Creed), Gemini Syndrome, Pop Evil, Ratt, Anthrax, Testament, Napalm Death & many more..
& From Live DVD "LEAVING EDEN LIVE XTREME ROCKUMENTARY"
"Out of the Ashes on Spotify"
Our albums are released through dark Star Records /Sony music so you can literally buy our stuff worldwide anywhere. We do have merchandise for sale on our website as well. You can listen on any of the streaming platforms like Spotify. The easiest thing anybody can do to support any band is listen to this songs on platforms like Spotify because it does pay the artist something not much but I always say this, imagine if Millions listened every day then the artists would make some serious money so if you enjoy listening to artists find them on Spotify and while you're enjoying their music you're helping the band. It’s the best way to support a band for free. For me I think it's the lyrics really listen to the lyrics and you can find the lyrics on our website as well to all of our albums. The lyrics are driven from real life situations and experiences. Good bad or indifferent they're all there because you never know what life has to throw at you at any time. Sometimes it's great sometimes it is catastrophic but I like to reflect on everything that comes about. It's been a pleasure talking with you wish you the best and rock on man peace.